This is a fabulous ballet workout to add to your exercise library. Today I have a special guest working out with me. Her name is Anastasia Adruzova and she is a fellow YouTuber. We met at the Miami YouTube event and decided to do a collaboration video. Anastasia Adruzova was born in Moscow and is a ballerina, who then turned into a professional golfer. She then decided to follow her passion of fashion and beauty, and started her own YouTube Channel. 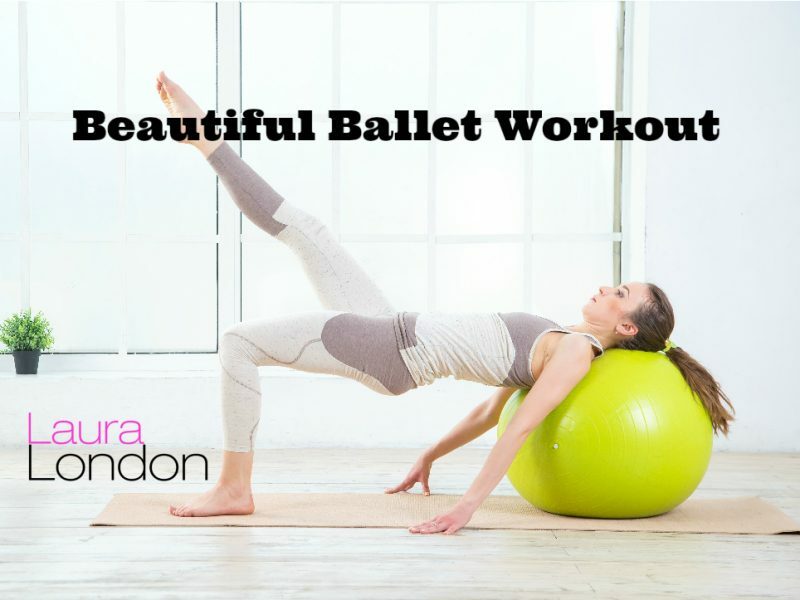 Today we are bringing you a ballet inspired stability ball and cardio workout. This workout will challenge little muscles you never even knew you had. When you think of ballet, you probably picture in your mind a thin, and beautiful ballerina dancing gracefully on the dance floor leaving every person that sees her in complete awe. Accurate? Well, if that’s what you pictured, you’re exactly right. But what’s their secret? Aside from the grace, elegance and beauty of this dance form, ballet is really a total body workout, plus a spiritual and mental cleanse all wrapped into one. It tones and sculpts your body because, ballet teaches movements that naturally develop long and lean muscles, not thick ones. Good posture and alignment plus focus are essential when doing ballet exercises which, will carry over into your daily life. Ballet will help you improve not only your posture but your confidence. You will be standing taller when you enter a room. Ballet exercises work not only your core but your back muscles at the same time. Which gives you a corset like affect and a tighter tummy and back, which helps to prevent back injuries. Flexibility is key in our everyday lives. Ballet is a great way to stretch your muscles, therefore, keeping them long and lean. Being flexible also helps to prevent injuries. You are able to express yourself with ballet movements because, they flow with your body and are more gentle on the body. Ballet can melt your daily stresses away since, you have to focus on the exercises and “tune” out your everyday life. Ballet exercises require you to shift your focus to the proper movement therefore, you will focus on your hands, placement of your legs and feet, as well as the coordination of your body. All in all, ballet workouts are a great addition to add to your workout toolbox.